Memory care for engaged living. A purpose-built memory care community creates a lifestyle of comfort, security and purpose for residents. At Tessera of Brandon we believe that those with memory impairments can continue to lead a rich, fulfilling life, and our programs allow everyone here to thrive to the best of their abilities. It’s easier to make a decision about the future of those under your care when you have the right information and questions to ask. 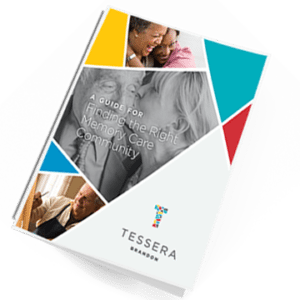 Download Tessera of Brandon’s A Guide For Finding The Right Memory Care Community by completing the form or contact us directly at 813-607-6880.